Since the sepia-toned days of a century past, industry has sought effective ways to control their manufacturing and production processes. New technology has influenced factories and plants, resulting in new operational approaches to maximize benefits. One such approach is Profitable Efficiency, which is profitability control cascaded to process control to maximize operational profitability in real time. 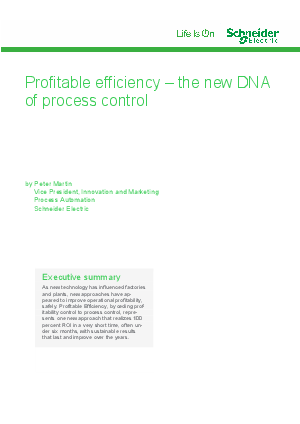 While this is a new execution method, the concept is deep within the DNA of process control. Download the white paper to learn more.